Should pawnbrokers use mobile messaging? There are numerous ways to communicate with your customers. Through your website, email, print ads, digital ads, and good old face-to-face. There is one area that you may not be leveraging to its full potential though: mobile messaging. Back in 2016, Agile CRM reported that 81% of mobile users had either sent or received a text message and that number has only continued to grow. 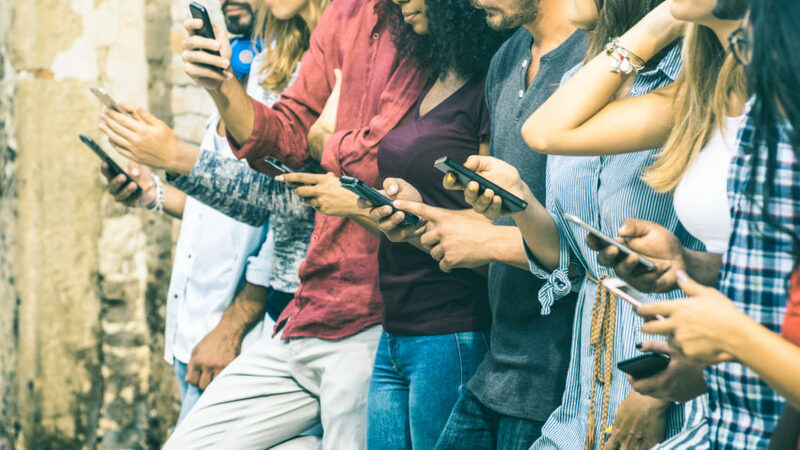 Today, people are more reliant on technology than ever with 62% of cell phone users checking their devices for new messages immediately after waking up. According to Pew Research Center, that number climbs to 79% when the window is expanded to the first 15 minutes after waking up. More telling yet, the open rate for text messages is nearly 100%. That’s amazing when compared to the sometimes dismal open rates for email! So how can a pawnshop take advantage of this seemingly guaranteed captive mobile-hungry audience? By utilizing all of the Bravo tools at your disposal to build a powerful messaging campaign. First, creating a mobile text or messaging campaign needs to be strategic. It is not a one-size fits all platform. If you want to increase your chances of having your communications not only read but also acted upon, you should come up with a segmented plan with goals and messaging points for each of your different audiences. For example, you can have a text campaign for your repeat customer. Another for your one-time shoppers you haven’t seen in six months. And another for that customer that came in for a loan but never came back, and so on. How do you find these audiences? Through the Ad Hoc Custom Reporting tool that provides all the stats you need to discover who these key groups are based on their behaviors in your store. Now that you have your groups, you need to define your messages. The same report we mentioned before from Agile CRM has many good do’s and don’ts. Some of the basics: keep it simple, use a call-to-action at the end, and figure out the best timing to send your message. And that brings us to the last piece: sending your message. What is the best way to do this? There are a couple different ways. A traditional SMS campaign fully automated and tracked in Bravo. Another way? The push notification. If your customers are using the MobilePawn app, you can launch a push notification strategy in nearly the same way you’d launch a text strategy. Find your audiences, craft your message, and send at the right moment all through the app, making it easy to manage. If you’re not quite ready to launch an aggressive mobile messaging strategy, you can also dip your toe in the water by responding to customer messages through the MobilePawn app in real-time. In this case, the customer is coming to you rather than you initiating the conversation with a text or push notification, but you’re still showing your customers that you are thinking digitally and that can only lead to more communication possibilities in the future. So give it a try. We think you’ll be so happy with your results you’ll send us a TY (thank you) text in response!